The Jazz Consortium Big Band celebrates 1 year at Durty Nellie’s Pub. Anniversaries are special moments in time meant to be shared, so come share the Jazz Consortium Big Band‘s celebration of its first anniversary of playing monthly at Durty Nellie’s Pub in Palatine, this Sunday June 10, 6-9 p.m. You will also be sharing our love of Big Band music in all its forms: Swing, Jazz-Rock, Latin and Ballads. Complimentary slices of cake will be served, courtesy of Durty Nellie’s, and we will raffle off copies of our CD throughout the evening. The shows are always all-ages. The cover is $10, or $5 for students 17 and under. Food service is also available. Hearing a live 17-piece Big Band up-close and personal is an amazing experience, and the gratifying response of people coming back to Nellie’s the second Sunday each month shows there’s an audience for Big Band jazz in Chicago’s Northwest suburbs. 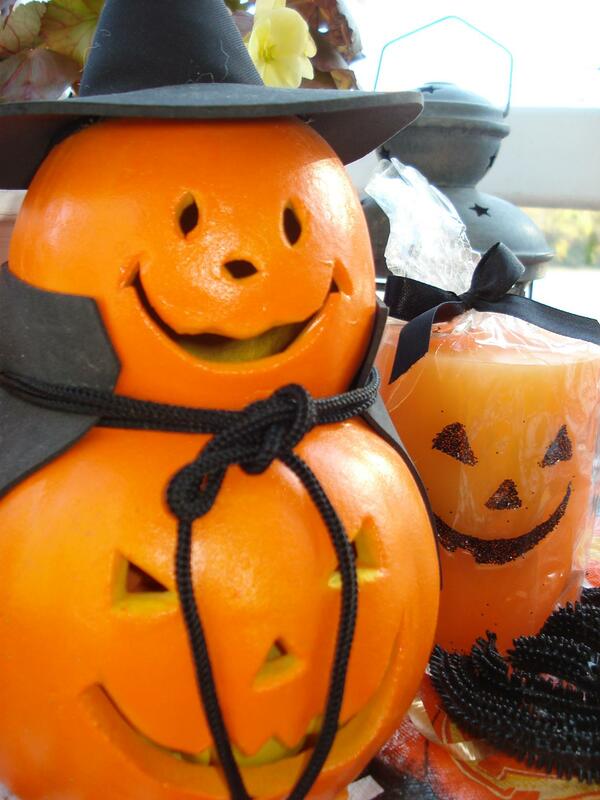 We’re looking forward to our second year at Durty Nellie’s, and we’re looking forward to sharing the fun with you! Durty Nellie’s is located at 180 N. Smith St., Palatine, IL. Phone: 847.358.9150. A big thank-you to owners Mark and Jim Dolezal for giving us a home to create wonderful music and memories for music lovers of all ages! 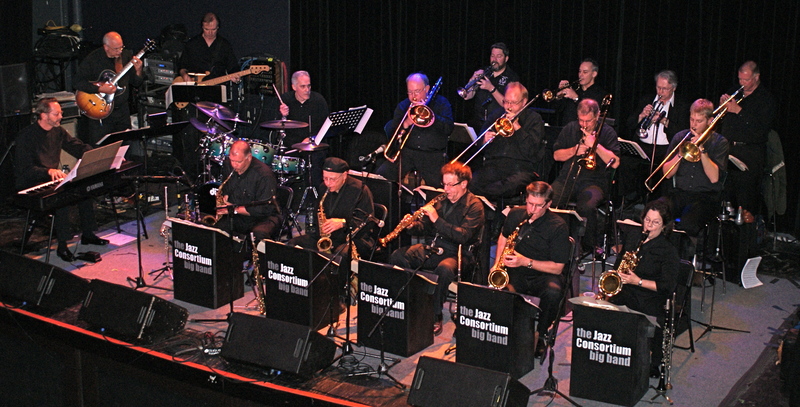 Visit us at www.jcbigband.com or Facebook.com/jcbigband. What are your favorite mellow summer songs? 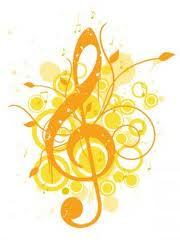 Visit us at www.RSVPorchestra.com or our Facebook page. 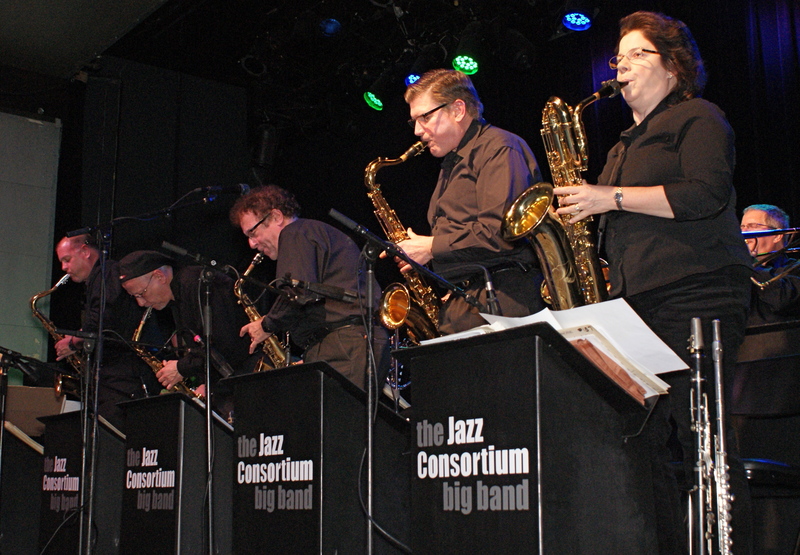 The 17-piece Jazz Consortium Big Band is honored to join the ranks of big bands that grace FitzGerald’s stage, and we look forward to bringing our own blend of Big Band classics and original compositions to its friendly environs. Tunes from Glenn Miller and Duke Ellington to Buddy Rich and Maynard Ferguson will be on tap–we look forward to entertaining you with our wide-ranging repertoire! Where’s Waldo? Where in the world is Carmen Sandiego? Can’t help you with those, but if you want to know where to find great Big Band jazz in the northwest suburbs of Chicago, the Jazz Consortium Big Band will be swinging throughout 2012 at Durty Nellie’s Pub, 180 N. Smith St., Palatine, IL. 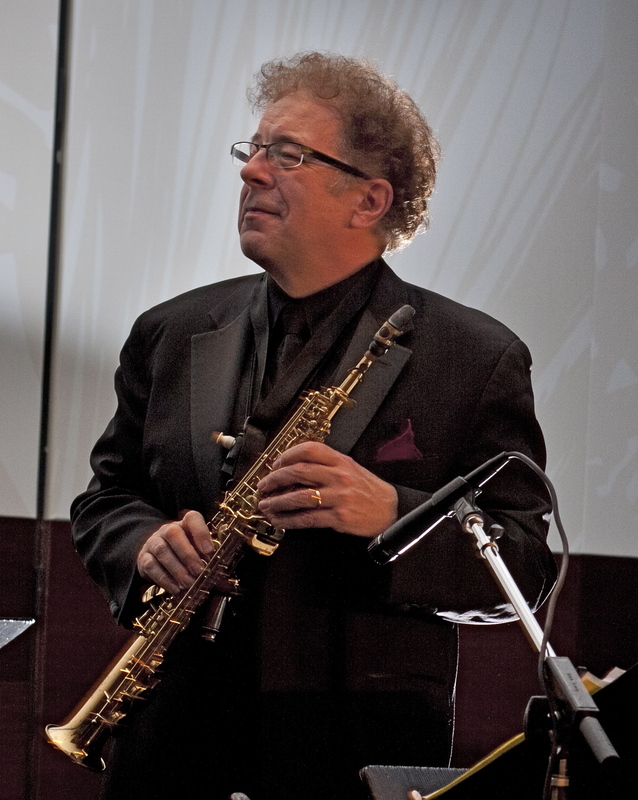 It’s the same day and place the Jazz Consortium has been playing since June–the second Sunday of each month in the evening. 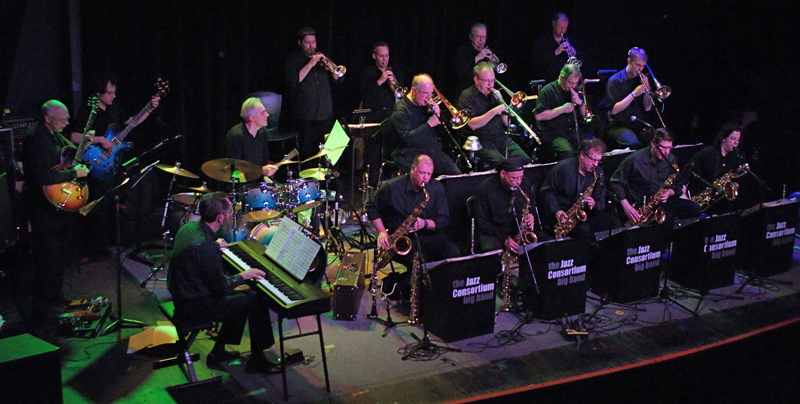 This 17-piece band mixes in classic and modern Big Band selections from such bands as Glenn Miller, Count Basie, Buddy Rich and Maynard Ferguson, plus original compositions. And you can eat and drink while enjoying swing, jazz-rock and latin favorites past and present. 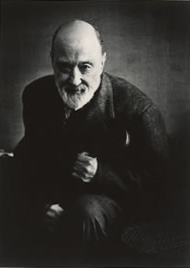 It’s Charles Ives’ birthday Oct. 20. No, not the guy from 19th century printmaker Currier & Ives. Born in 1874, he is one of America’s greatest classical music composers. Ives combined adventurous experiments in music with his love for the music of the common American of his day: church hymns, marches, folk songs, ragtime. Happy Birthday, Charlie! May your visionary music never cease to amaze and inspire its listeners.